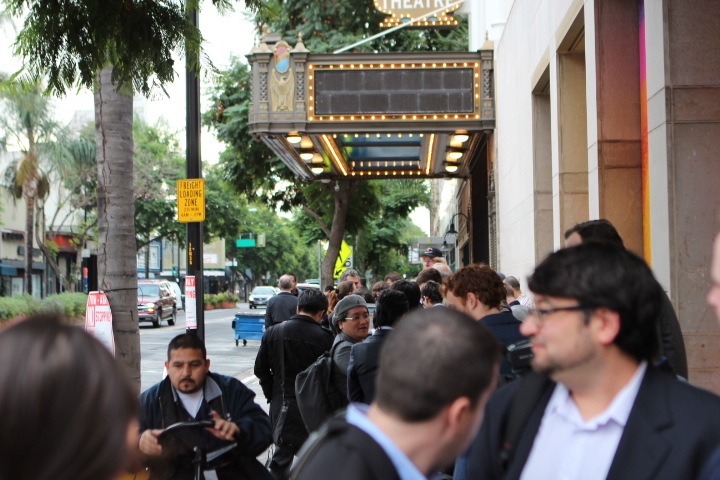 Apple’s event at the California Theater in San Jose is today, and we’re going to be live on the scene providing a blow-by-blow of the company’s announcements as they happen. Of course, this year Apple is also live streaming the event itself, via the web and Apple TV, so you can also follow along yourself. But Apple’s live stream doesn’t have our color commentary, and you might also be stuck at work, where spending two hours watching online video is harder to get away with than watching text flow by on a screen. What I’m saying is, we’ve got you covered. Keep an eye out at the Apple tag page for more in-depth looks at specific announcements, and follow along with us starting at 10 AM PT/1PM ET as Apple potentially unveils its iPad mini, a new Retina MacBook Pro, and a whole bunch of other goodies.